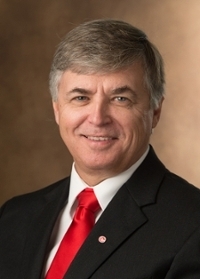 Southern Illinois University Edwardsville Chancellor Dr. Randy Pembrook visited live with hosts Martin Kilcoyne and Randi Naughton on KTRS’s Martin Kilcoyne Show on Tuesday, Aug. 2. Pembrook discussed his return to SIUE and the Metro East, his appreciation for the beautiful 2,660-acre campus and the significant growth the University has experienced since his days as a student here. A portion of the interview is available on KTRS.com.